Salt Lake Potash (the Company) is pleased to announce that the Company has executed a Memorandum of Understanding (MOU) with the leading fertiliser distribution company in China, Sinofert Holdings Limited (Sinofert), setting out the basis for the second Offtake Agreement for the Goldfields Salt Lakes Project (GSLP). The Offtake Agreement will provide Sinofert with sales and offtake rights for up to 50% of all Sulphate of Potash (SOP) production from the GSLP, for distribution into China. The initial term is for 8 years, from 1 January 2020. Salt Lake Potash plans to shortly commence initial construction of a Demonstration Plant at the GSLP producing up to 50,000tpa of high quality SOP, with plans to distribute production through a small number of global distribution partnerships. Subsequent to the Demonstration Plant, the Company plans to progressively expand production across a number of lakes in the GSLP. • Sinochem to provide strategic advice on marketing within China. 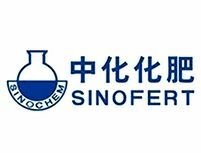 Sinofert is China’s leading fertiliser supplier and distributor, covering the whole industry chain of resource, R&D, production, distribution, and agrochemical services. Sinofert handles 13 mt of fertilisers each year and has over 60 years experience in fertiliser production and distribution. Sinofert is listed on the Hong Kong Stock Exchange and is majority owned by Sinochem Corporation, a key Chinese State Owned Corporation. The Company has previously entered into an Offtake Agreement with Mitsubishi Australia Limited and Mitsubishi Corporation, with sales and offtake rights for up to 50% of the SOP production from a Demonstration Plant at the GSLP. The Lake Way Demonstration Plant Production Target stated in this announcement is based on the Company’s Scoping Study as released to ASX and AIM on 31 July 2018. The information in relation to the Production Target that the Company is required to include in a public report in accordance with ASX Listing Rule 5.16 and 5.17 was included in the Company’s Announcement released on 31 July 2018. The Company confirms that the material assumptions underpinning the Production Target referenced in the 31 July 2018 release continue to apply and have not materially changed.